Spring is here and with it comes new trends. But sometimes making the trends work for you personally can pose a challenge. What to do? For example, the power print typical of Wall Street executives was reimagined in stylish ways by front row regulars at the shows for spring 2017. The latest take on the boardroom staple? 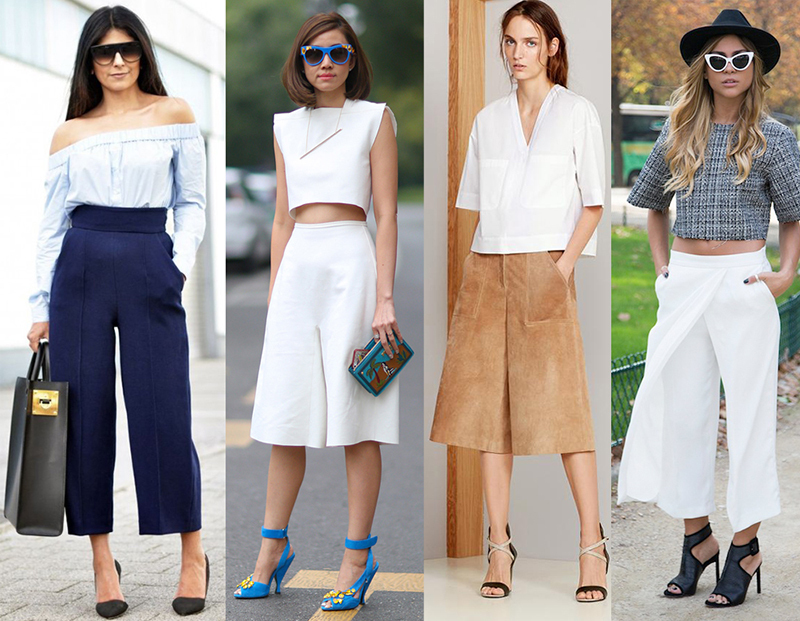 Roomy wide-leg pants and feminine, slouchy silhouettes.But what if you’re too short? Well, here’s how to work around this dilemma. If you can’t wear long pants, rock the trend by wearing a fresh pair of culottes that cut right below the knee. Now, what if you consider yourself too wide for slouchy silhouettes? Cinch the waist! There’s not much a cinched waist can’t fix! When it comes to hair, sleek, shiny and parted in the middle is big this spring. But this only works if your hair is healthy. That means no frizz. We get frizzy hair when the cuticle layer is lifted up and moisture goes through, inflating the strands and making your hair look dry and, well, frizzy! To get a smooth and silky look, use a treatment before you shampoo to hydrate and soften the cuticle, like MONAT’s REJUVENIQE®. You can use this nourishing oil once a week as well as an oil treatment to give your hair the moisture it desperately needs to smooth out the frizz. You also can take an old toothbrush, spray it with hairspray, like MONAT’s Refinish Control Hairspray, and gently brush it on any wisps and flyaways to make them lie down. 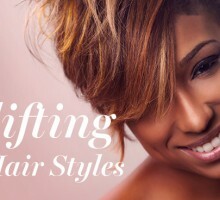 Another spring hair trend is the “hair flip.” Flip your hair from one side to the other and you create natural volume. But what if your hair is simply flat flat flat? Sometimes using the wrong products, ones that are heavy and thick, could be causing your flatness. Or using conditioner all over your hair instead of just mid-length to ends can weigh it down. Find out about MONAT’s Volume System—Revive Shampoo, Revitalize Conditioner and Reshape Root Lifter—to give your hair height and a lot of oomph! See? These spring trends are doable. You just need to know the tricks! ← Tomorrow Is National Reach As High As You Can Day!